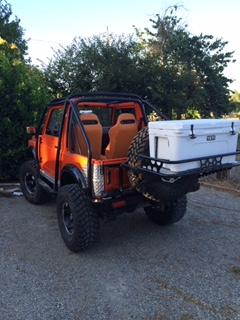 Custom exo-skeleton and spare tire rack, ice chest rack. Lockable tailgate box and saddle box kit. This FREE Classified section is for whole vehicles only. Please fill out the form below and have YOUR classified ad published for the vehicle you are selling right here on our web site! !